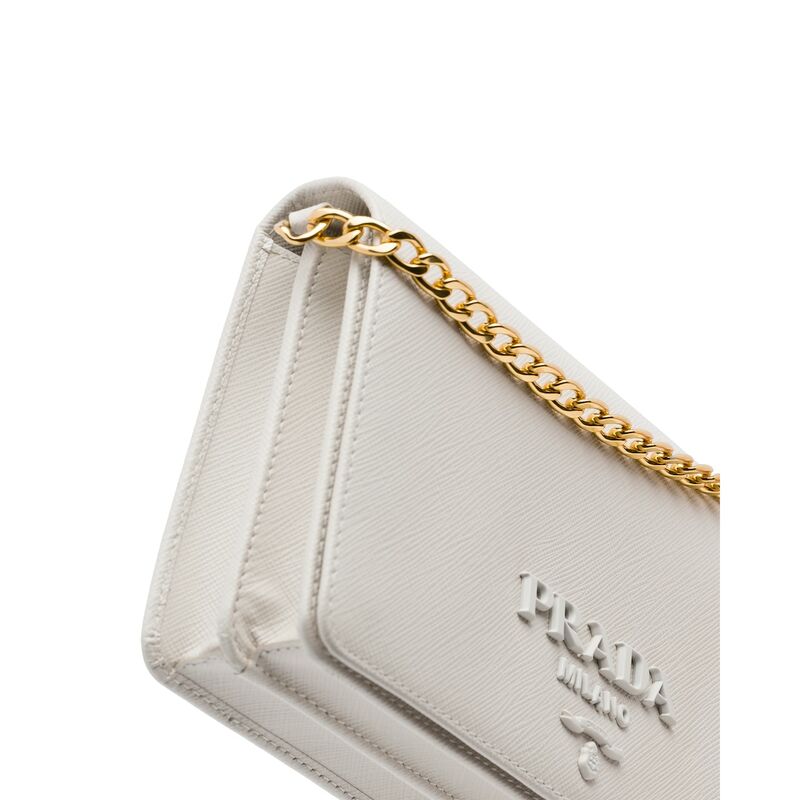 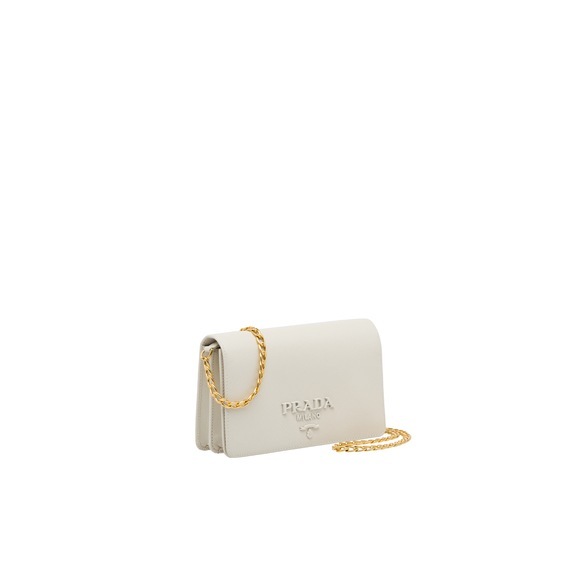 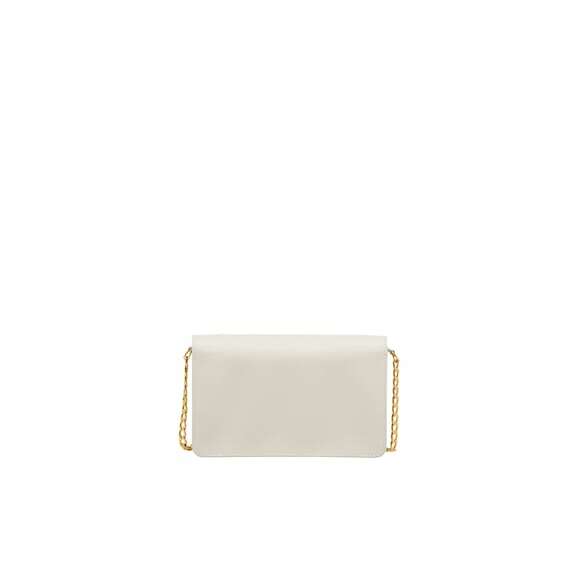 Saffiano leather clutch with Prada logo. The accessory has a detachable shoulder strap and closes with magnetic buttons. 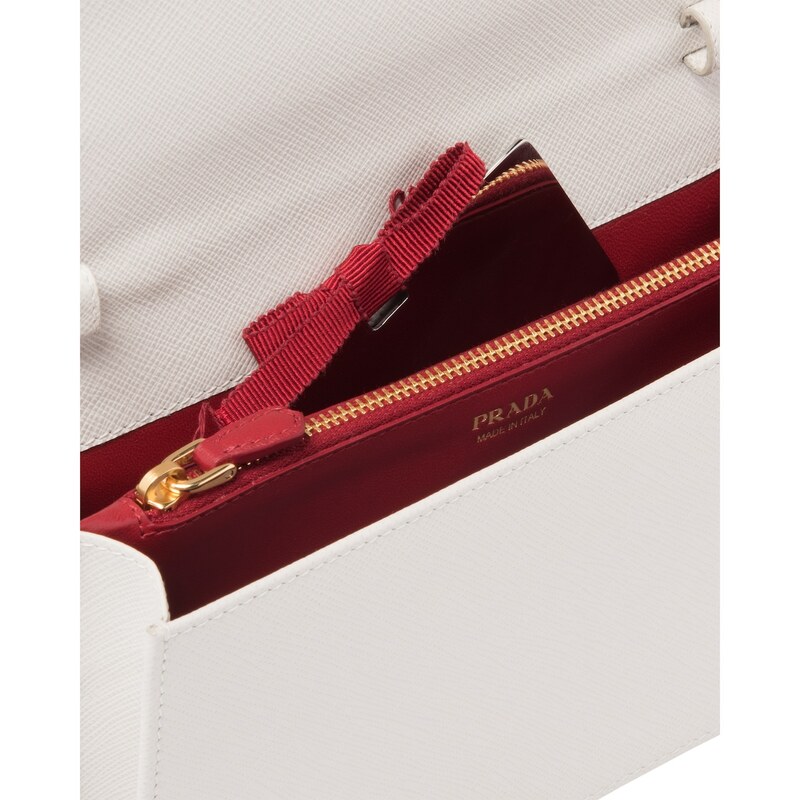 Inside there is a central pocket, card slots and a removable mirror.